Do you need medical signs for your clinic? 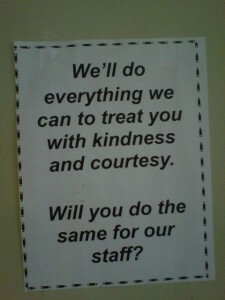 I have been in hundreds of healthcare offices and have seen some really great signs. We have selected over 20 signs needed in your clinic. Print and use these signs in your practice! Send us a picture and tell us what makes the sign good (or bad). We'll share it on our site to come up with the Great Big Sample Book of Signs. Tag us on Twitter and share your sign. 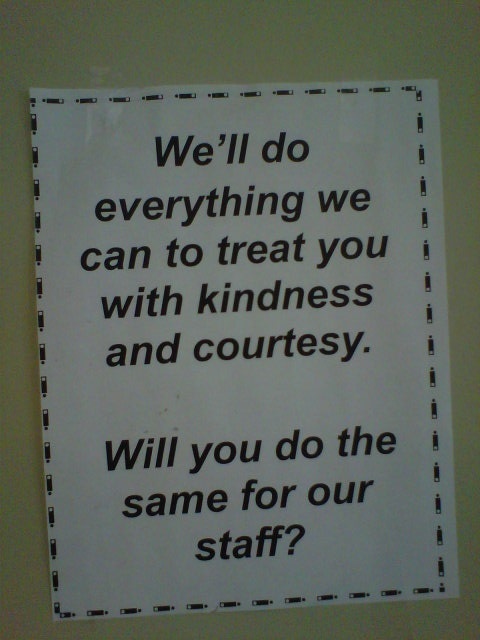 This sign was in a cafeteria run by volunteers. I like it because it is positive, polite, and a pinch of humour.